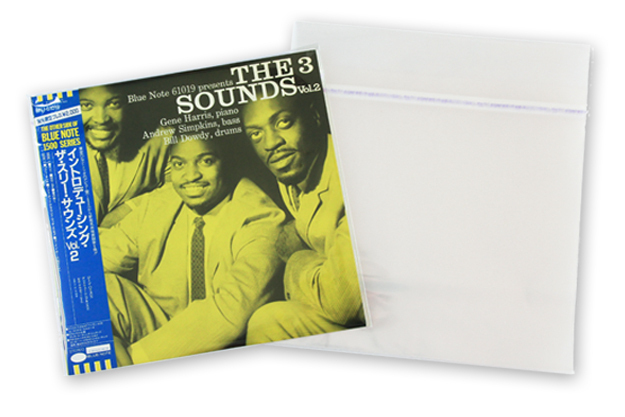 Keep your records dust free and protected from scratches with these high quality Mylar Outer sleeves. Flexible, Soft & Antistatic with Standard Transparency. Suitable for Archival Storage. These mylar outer sleeves feature an extended top flap that secures to an adhesive strip across the back of the sleeve. These ultra high quality sleeves completely block out any dust or foreign objects from contaminating your vinyl. Long wear adhesive strip reseals over and over making storage convenient.